3. What Triggers El NiÑo/Southern Oscillation? 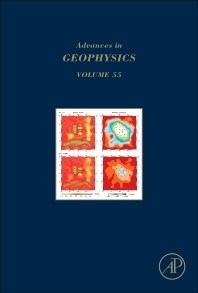 The critically acclaimed serialized review journal for over 50 years, Advances in Geophysics is a highly respected publication in the field of geophysics. Since 1952, each volume has been eagerly awaited, frequently consulted, and praised by researchers and reviewers alike. Now in its 55th volume, it contains much material still relevant today--truly an essential publication for researchers in all fields of geophysics. Graduate students, scientists and engineers of geophysics, physics, acoustics, civil engineering, environmental sciences, geology and planetary sciences.